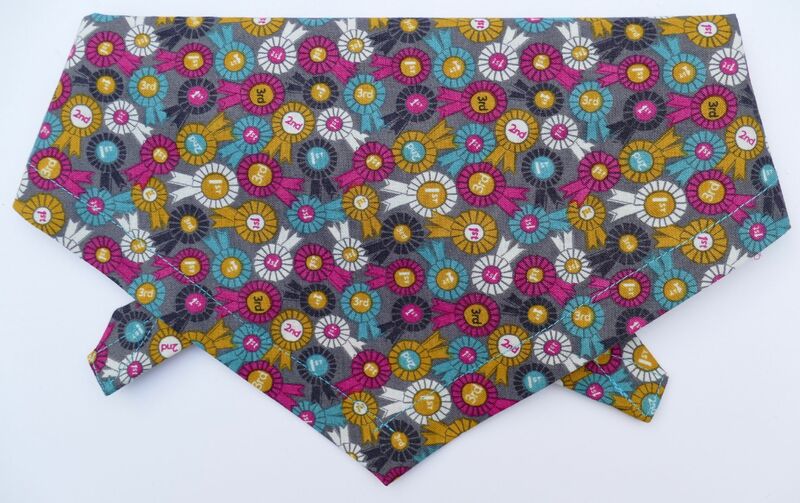 A gorgeous, rosette print dog bandana from our Premium range. The design has lots of little rosettes on a smart grey background. 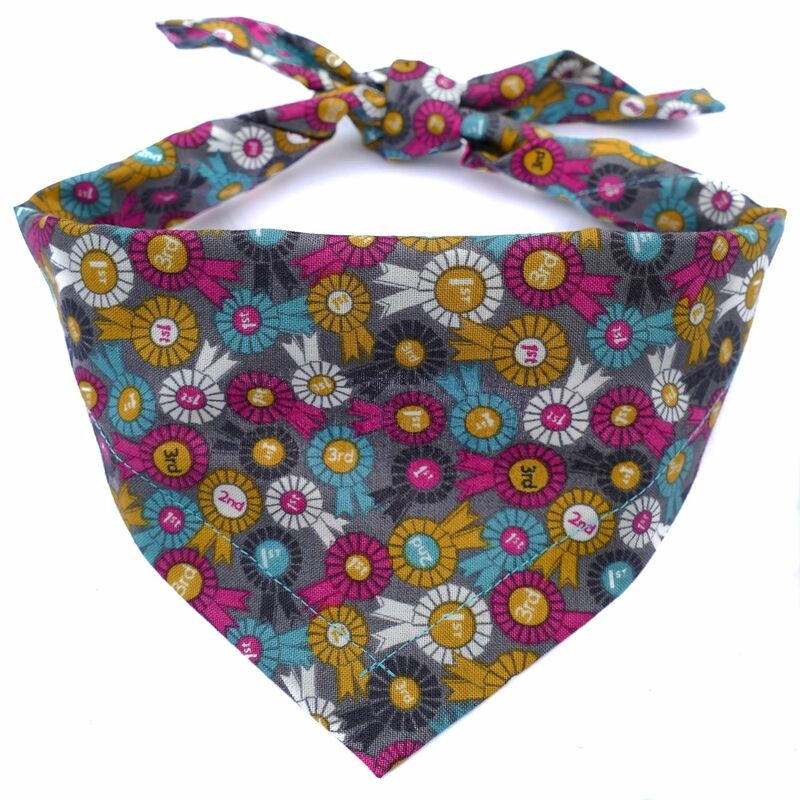 It's a beautiful design, and will certainly make your dog stand out in the crowd! 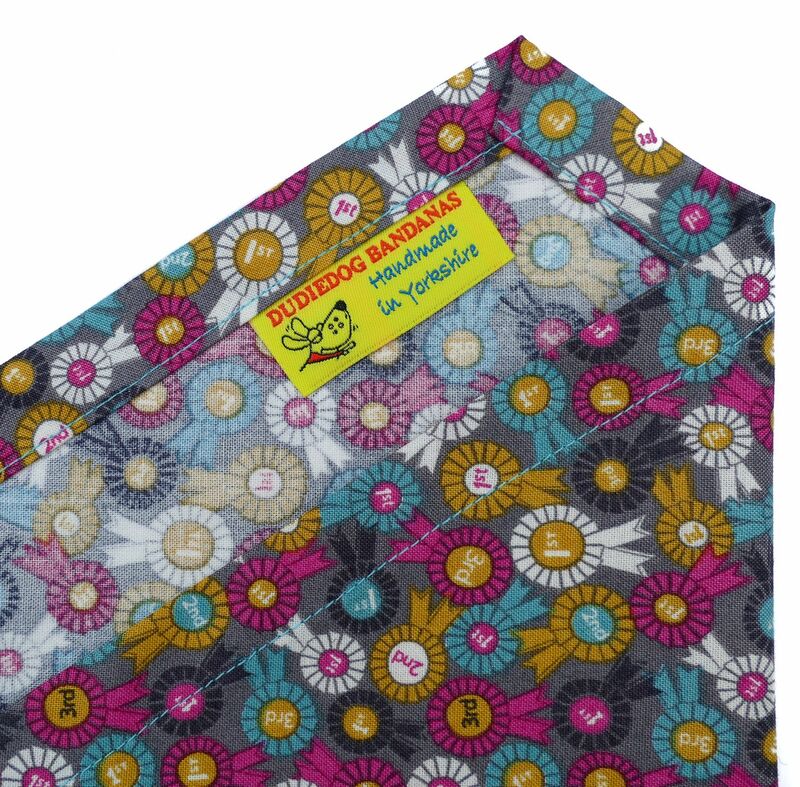 It's a perfect bandana for your no. 1 pet, and is great for any occasion, for any fun loving dog about town or country!